Application release automation (ARA) tools enable best practices in deploying and promoting applicationrelated artifacts, properties, configurations and even data across an application lifecycle in a safe, predictable and repeatable manner. Gartner reports that using an ARA tool is key to enabling DevOps and achieving continuous delivery. 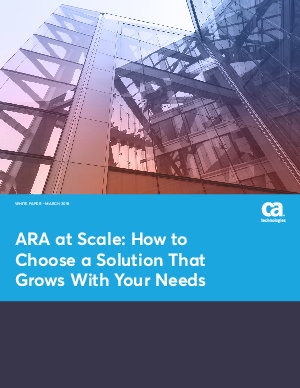 This white paper will explain how each of these criteria is relevant when choosing an ARA product that is capable of scaling along with the growth of your enterprise.